固位体: Used after braces are removed to hold teeth in their new positions. 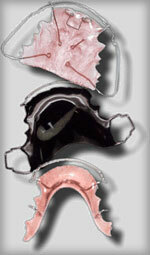 You must wear your retainer as prescribed to prevent regression of your treatment. It is normal for new or recently adjusted appliances to cause soreness or a slight alteration of speech for a few days following your appointment. If you experience a sore spot on the gums, 然而, please call our office so that we can make an appropriate adjustment.